We often find that people aren’t getting much use out of all the space they have at home. This is very true of backyards, where people simply don’t use the space they have effectively, or sometimes at all. We think this is a real shame and waste. We’ve found a way to make the best use of this unused space, however. We are the concrete contractors that can install a concrete patio in your home, providing you with an outdoor area that can add real value to your home in a range of different ways. Get the best use out of the space that you have at home. Getting us to install concrete patio in your home will give you true value. Not simply because of the durability and staying power of concrete, but because of what the addition of a concrete patio will do for your home. Concrete patios are a great way to encompass otherwise unused space into your home, getting you more value. Along with this they can increase the visual appeal of your home, seamlessly merging outdoors and indoors into a single, open and stunning space. All of that, on top of concrete durability, really does amount to true value. 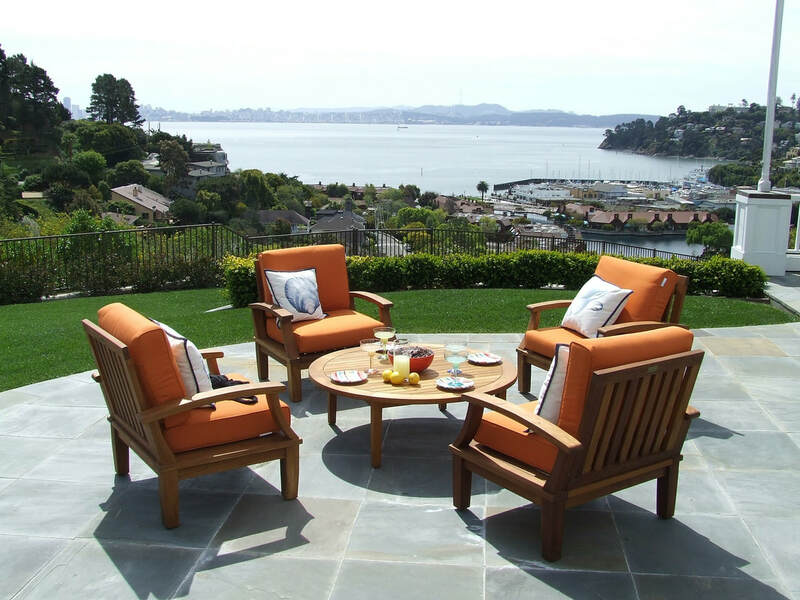 An outdoor entertainment area in the form of a concrete patio can be a great addition to any home. There’s just one problem though: Their location. Outdoors they can go through a range of extreme weather that can cause damage to even the sturdiest of surfaces. This can mean you are up for constant stress, headaches and money. Along with this, they will also be under pressure from constant foot traffic, and the range of other accidents and issues that entertaining people can sometimes cause. Concrete can withstand all of this. It’s built to last and is the perfect material to use for any outdoor surface or area. 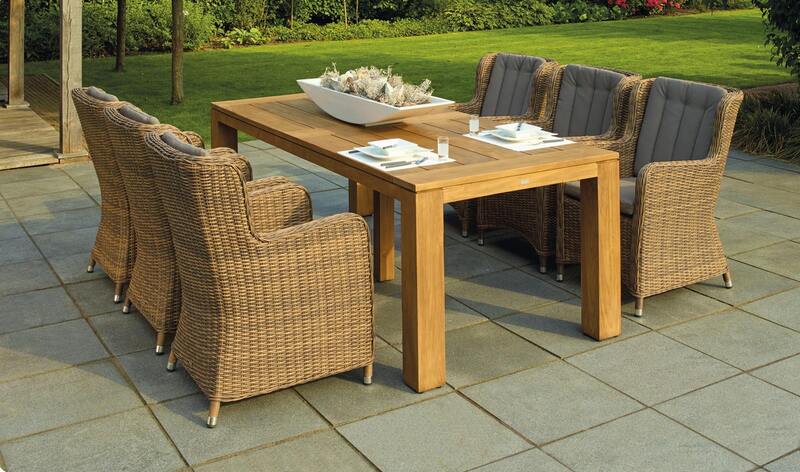 Having an outdoor space at home to entertain people is always a great thing to have. There’s nothing better the serenity and comfort of the outdoors in the company of family or friends, especially when the weather’s just right. 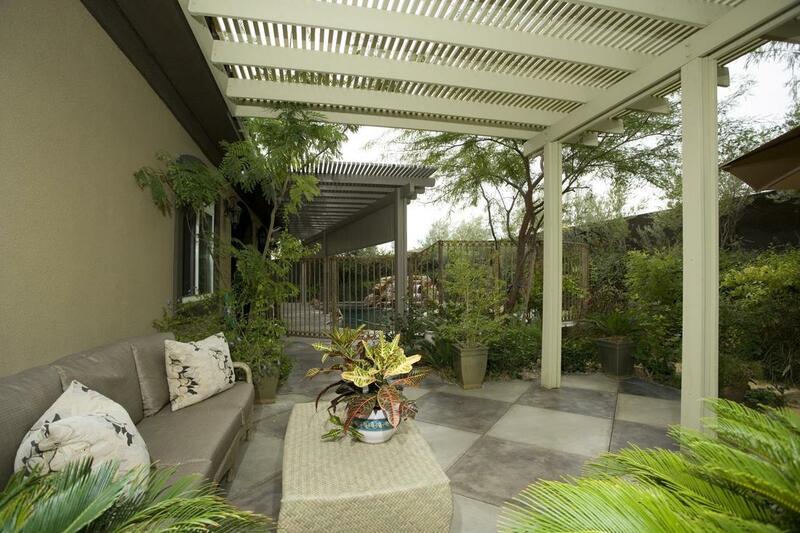 Concrete patios can be just the outdoor space you need for this purpose. We can provide a range of concrete patios that are just perfect for creating the right atmosphere to soak up the company of loved ones. Sure, concretes durable. But is it really visually appealing enough to be the best choice to create an outdoor entertainment area? After all, it does look a little bit dull. There’s no concrete problem that we don’t have a solution too, and this is no exception. We offer both stained concrete, concrete that can be imbued with a range of stunning colors, and stamped concrete, concrete inlaid with a myriad of beautiful and interesting patterns, for your patio or outdoor area. And what does a stamped concrete patio cost? A lot less than you might think. We guarantee your patio will not only last but look stunning too. A well-designed concrete patio could prove to be a highly attractive section of a particular landscape. Since concrete is durable, it'll have the ability to withstand even the most intense forces of Mother Nature. Homeowners will be able to enjoy their concrete patio for a lifetime if it's done right. These days, concrete happens to be one of the most versatile construction materials for patios, because the vast majority of the outdoor activities - particularly in your backyards - are better done on concrete and it is easy to afford. Care of concrete is rather easy since you do not need to wash and clean it on a regular basis like other patio materials. You may choose to add a smooth finish to your patio. If that's the case, Concrete Pros Bend will soften the concrete patio with sandblasting and a small acid etching. A mix of both could make a superb concrete patio floor. Stamped concrete is a popular option. Virtually, everyone finds this design attractive, and our concrete company has done many of these projects. It's all about pouring the slab concrete on the terrace and then impressing a variety of designs before things get tough and dried up. One of the most common stamped concrete patio design selections are bricks, decorative or plain tiles, wood or stone. One of the permanent ways for adding color to the concrete is to put in some color into the concrete mix before pouring it. There are lots of color choices you can pick from - still soft in addition to natural colors usually looks better for managing a naturally enhancing patio look. Other fantastic options could be colors between medium and light gray or beige and light peach. Staining your concrete patio can give it an aged look. Many home-owners find concrete staining useful for toning their brick or concrete surface when it's brand new. This can be great-looking providing an improved look to your concrete patio very much similar to a natural stones appearance. Additionally, staining can also protect the concrete from harsh weather conditions. Stain coats sometimes have to be applied to safeguard the concrete from rain, sun, or other organic things that lighten the initial color. It's all about producing patterns of chic squares and is thus another choice among stunning concrete patio layouts. Squares may be created with an assortment of shapes or sizes. In this way, the design look will combine nicely with other parts of the landscape and even matched to the color of your swimming pool deck. Nowadays, most people think about using concrete for upgrading and beautifying their property. The best thing about concrete is that it can be poured in various shapes, altered in colors, and textured so that it looks great with your home design and landscape. Contact Concrete Pros Bend today to get started on your stamped concrete patio.